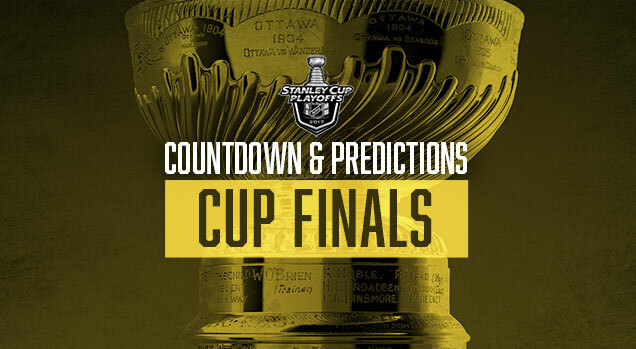 Glad I didn’t use the colour gold for the banner image in any of the previous rounds, because this Cup Finals is going to be glowing with it all over the ice. But before we get to that, better branding won both Conference Finals, pushing the record to 6-for-14. Still not good, but at least it’s closer to the 56% bar the past four years of doing this has set. If branding wins this Cup Finals as well, that 56% shouldn’t drop too much. 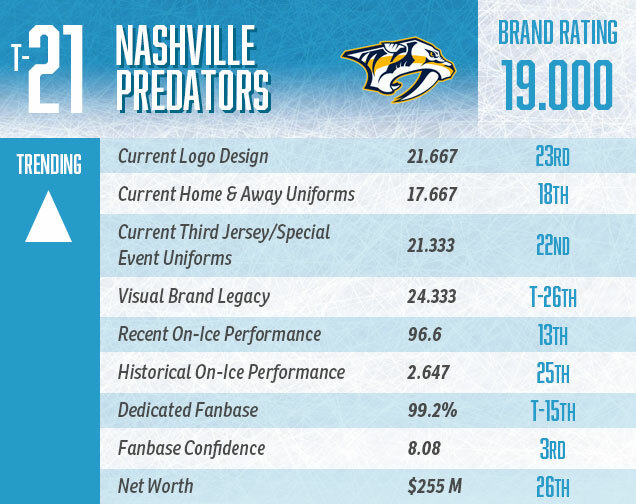 Let’s see who has the better branding between Pittsburgh and Nashville. It’s a battle of Striped Bowl, featuring two of the worst jersey sets in the league because of the obnoxious and stupidly-designed stripes that covers them more than Leonard Cohen’s Hallelujah gets covered. And it’s an onslaught of black, orange and red, with some yellow and beige thrown in. 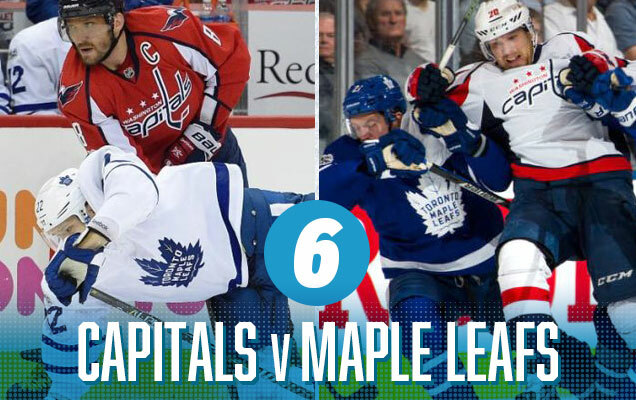 It’s a jersey match-up that has all the elegance, refinement and subtlety of a hot dog eating contest, killing your retinas with awful jersey design mixed with no break from the intensity of the colours. If your fans of the teams, enjoy. If you’re a student of design, switch the channel. 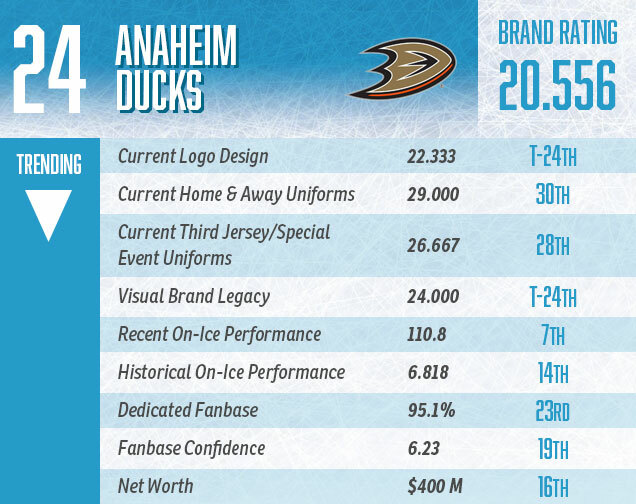 Anaheim Ducks NHL Brand Power Ranking: 24th. 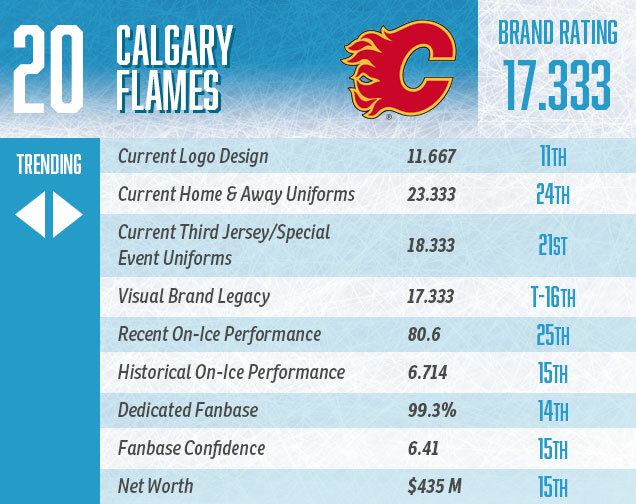 Calgary Flames NHL Brand Power Ranking: 20th. I’m starting to realize that the major problem with the Ducks jerseys is that they make every other team’s jerseys look worse when paired up against it. 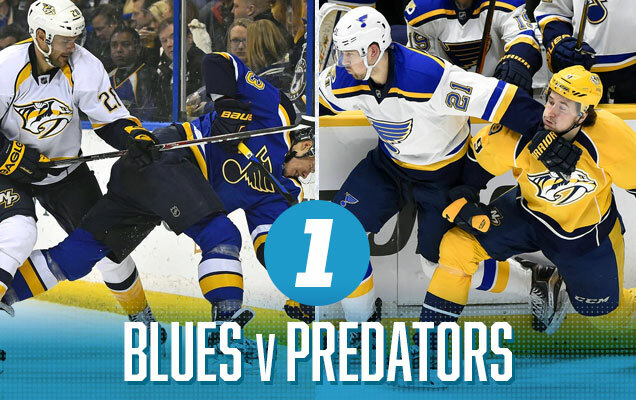 In the first round, Nashville/St Louis took the top spot on this ranking, with perfectly paired sets of jerseys, visually speaking. 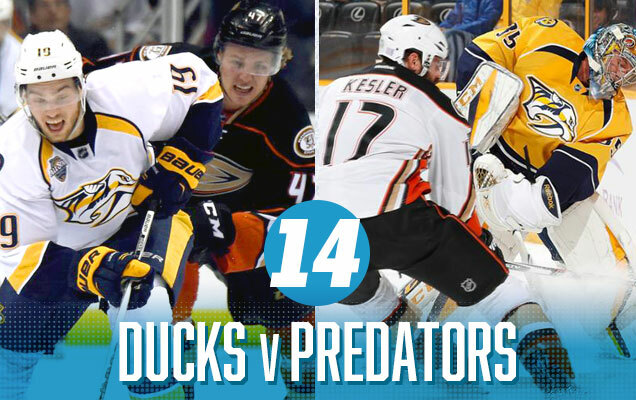 Here, the Preds jerseys get dragged down by the Ducks’ overbearing striping, clashing styles, and mis-matched colours: gold, orange, navy blue, beige, black…it’s just too much. 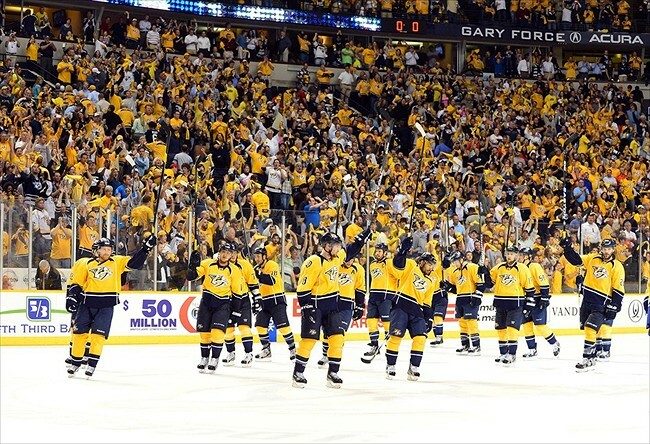 Nashville Predators NHL Brand Power Ranking: 21st (tie). 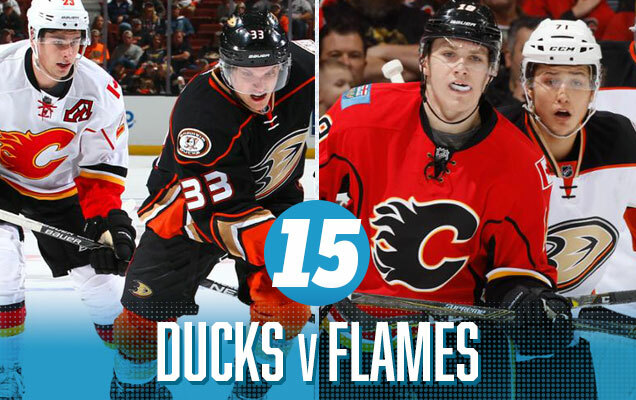 These Ducks jerseys take the bottom three spots on this list, and again, there’s just too much going on here. 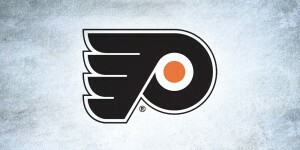 Too many stripes, too much orange (at the games in Edmonton), too little orange (at the games in Anaheim), as well as a clashing of styles between the Oilers’ more classic approach (or pre-classic, with their WHA-inspired orange jerseys), and the Ducks failed attempt at modern jersey design. 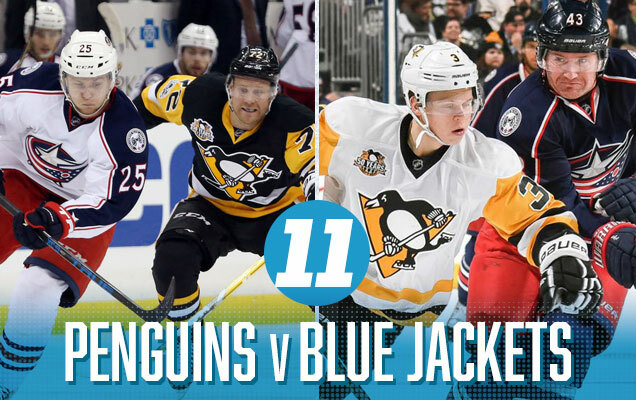 For two teams that carry a colour-connection in their visual branding, it’s strange how badly these jerseys match-up against each other. 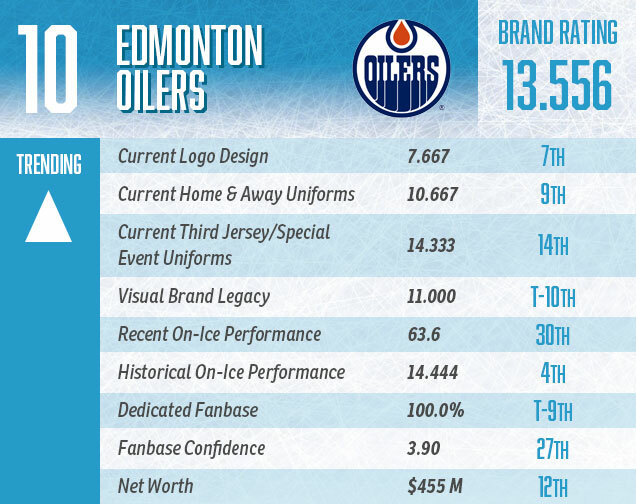 Edmonton Oilers NHL Brand Power Ranking: 10th. 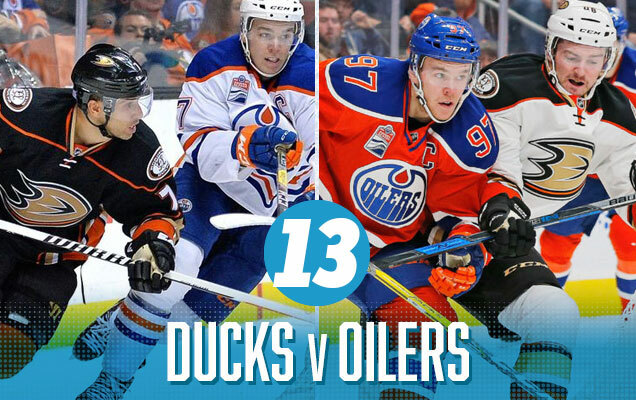 It’s a massive step-up from 13th to 12th on this list, and the Oilers decision to wear their orange jerseys through the playoffs changes this match-up completely. The games in Edmonton are now a nice mixture of complimentary colours: orange and blue(/teal). 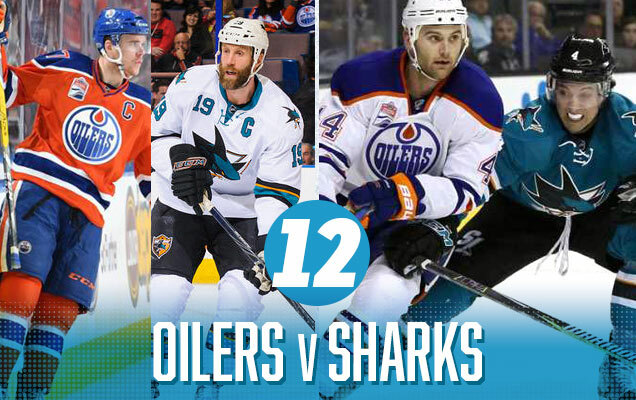 The more convoluted Oilers’ jerseys doesn’t really compliment the Sharks’ overly-minimalist approach, but the games in San Jose will look better in that regard…although significantly less colourful as the Oilers’ white road jerseys have much less orange, turning it into a match-up of blue vs teal. 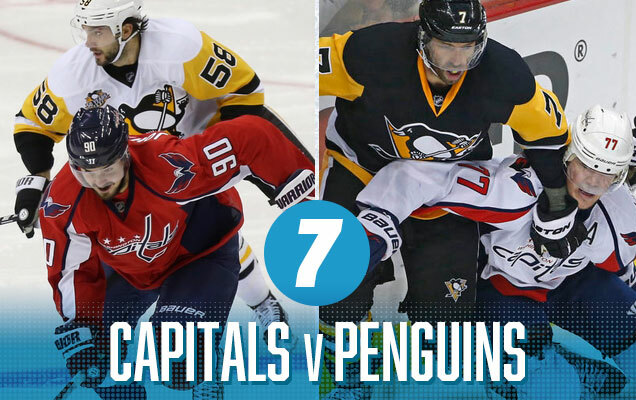 So, there’s pros and cons to both of the jersey match-ups in this series. 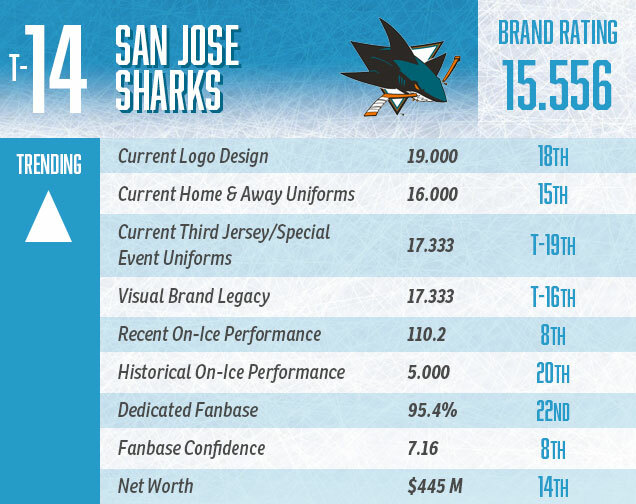 San Jose Sharks NHL Brand Power Ranking: 14th (tie). 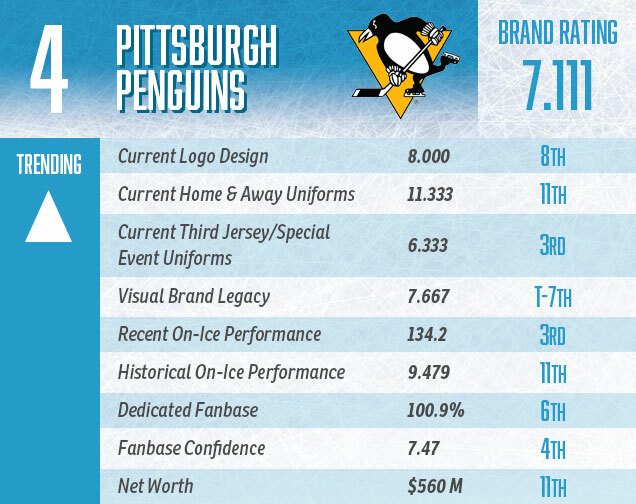 Pittsburgh Penguins NHL Brand Power Ranking: 4th. 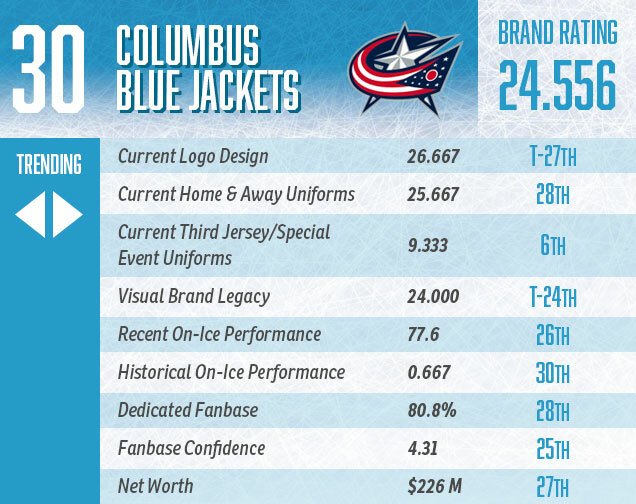 Columbus Blue Jackets NHL Brand Power Ranking: 30th. 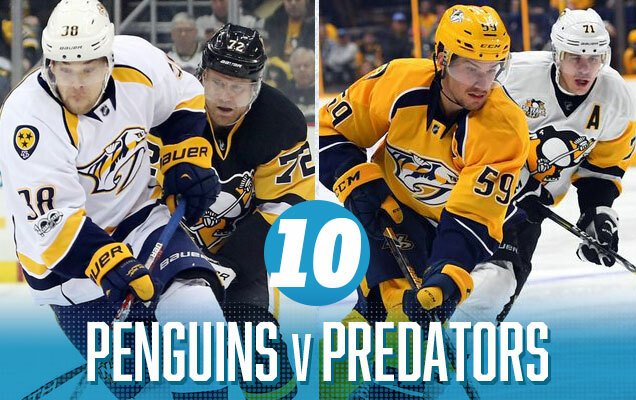 It’s an epic gold-on-gold matchup for the Cup Finals this year, with Nashville’s gold-navy blue-white taking on Pittsburgh’s gold-black-white. And while it may seem to be glorious, it’s going to turn out pretty brazen. There’s not enough of anything else to break things up a little bit and add some contrast and relief to the golden onslaught, despite the fact that these are two classy and modern jersey sets competing against each other. At least Scrooge McDuck will be happy about all this gold. 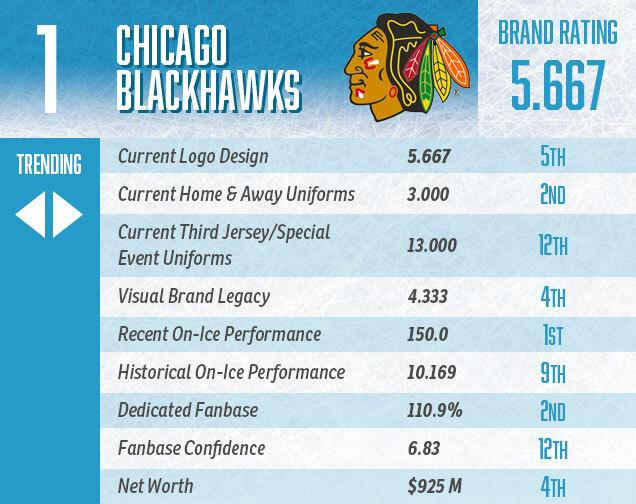 Chicago Blackhawks NHL Brand Power Ranking: 1st. 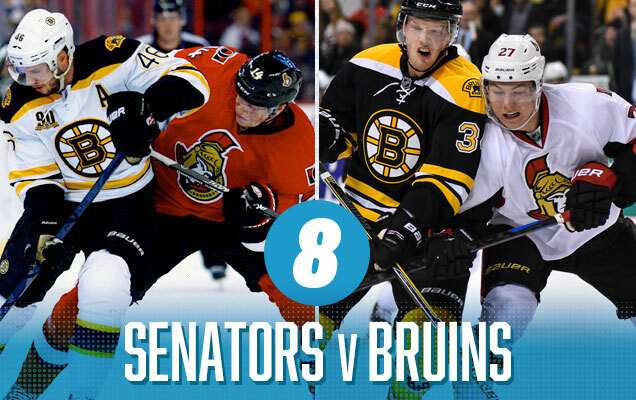 Despite the Senators not having great jerseys (and there’s rumours that might change for next season), this is a classic example of a jersey match-up that the sum is greater than its parts…or at least from Ottawa’s perspective because the Bruins have absolutely great jerseys. As much as I’m generally not crazy about black jerseys, it’s so perfectly balanced with a large amount of gold and white that it just works. And the Sens’ jerseys work great with them, bringing a ton of colour to the Bruins’ road whites and balancing the black with some of their own. Their road whites don’t bring enough colour to the table though. 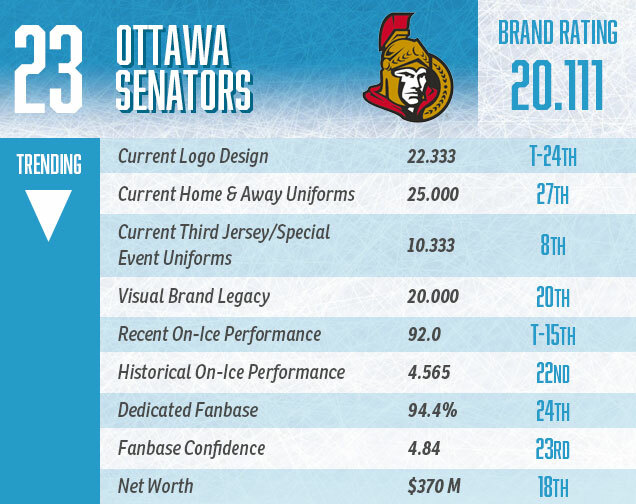 Ottawa Senators NHL Brand Power Ranking: 23rd. Boston Bruins NHL Brand Power Ranking: 3rd. Washington Capitals NHL Brand Power Ranking: 12th. 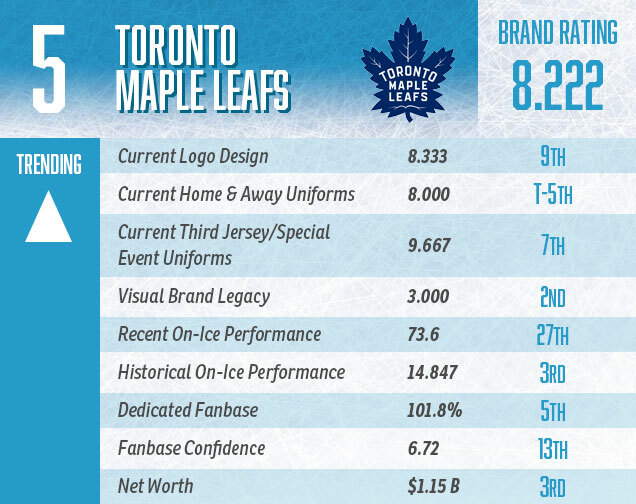 Toronto Maple Leafs NHL Brand Power Ranking: 5th. There is a clash of bold, warm colours set against a backdrop of black and white, which creates a sense of visual cohesion (with the jerseys sharing the black/white) and distinction (red vs gold) – a perfect match-up in some ways. The Sens’ road whites are a little too red-shy, but the good amount of gold on the Pens’ home blacks help make up for it. The the blast on gold on the Pens’ road whites are a great compliment for the Sens’ uber-red home jerseys. 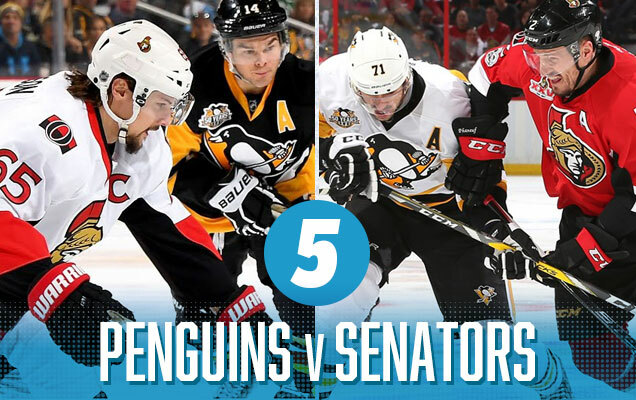 One thing about the Sens jerseys: they’re generally dismissed as pretty boring (which they are), but for rankings like this, they work almost like a blank canvas or white (or red) for the other team to work with, which usually elevates the match-up visually. In other words, most team’s jerseys work well with the Sens jerseys. Except the Ducks. It’s hard to beat a red versus blue match-up. It’s the most used and iconic colours in almost any sports uniform design, creating a combination that looks classic and timeless, and these two jersey sets fit that bill well. Ottawa’s home reds, for all its flaws, is very red, and combined with the Rangers’ whites that have a good amount of blue in them, it looks great. 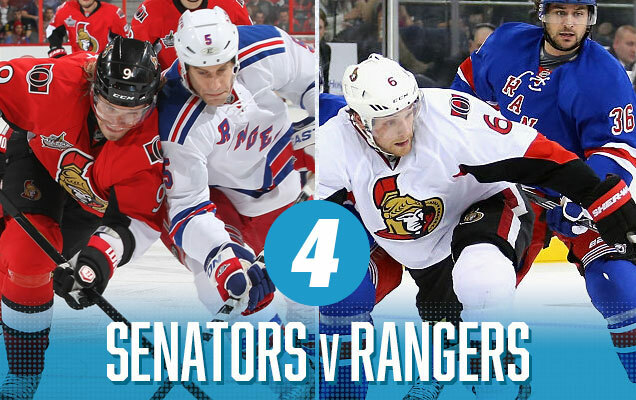 The one thing keeping this match-up from greatness is Ottawa’s road whites, which are too monochromatic against the Rangers’ iconic blueshirts. 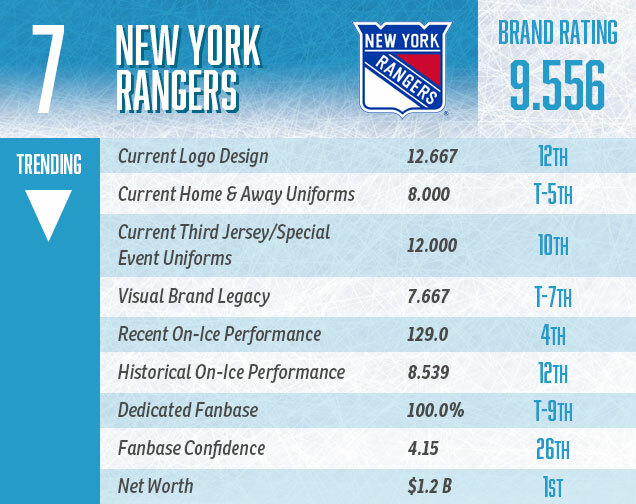 New York Rangers NHL Brand Power Ranking: 7th. I love this match-up. A cool-coloured green and blue match-up, with just a touch of yellow to bring some warmth and intensity. 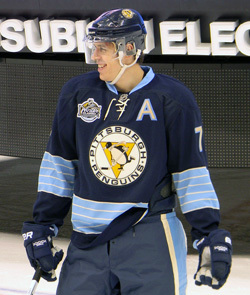 And both jersey sets combine modern and classic aesthetics, so they work well together in that sense as well. 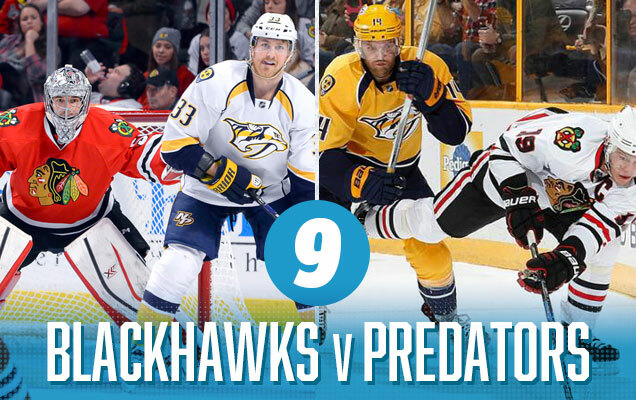 This is a great-looking modern jersey match-up that should be aesthetically-pleasing to watch in either city. Minnesota Wild NHL Brand Power Ranking: 13th. St Louis Blues NHL Brand Power Ranking: 9th. 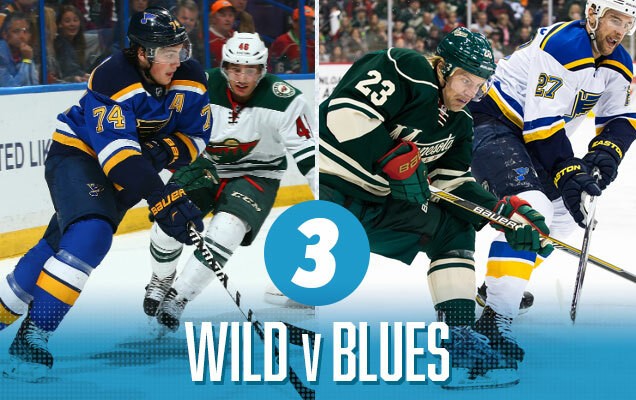 The match-up of the league’s most iconic jerseys! Was there any doubt this would be near the top? 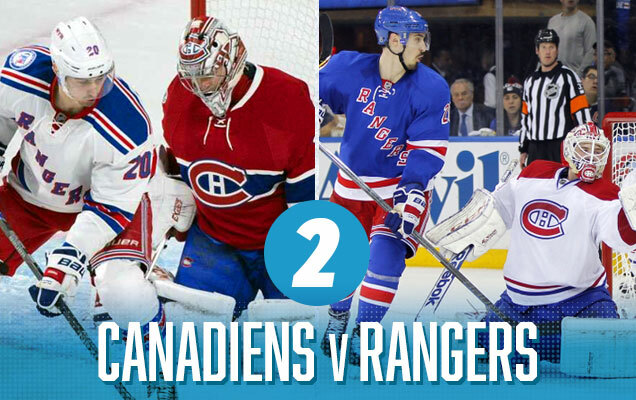 A classic red-vs-blue match-up between Montreal’s reds and the Blueshirts of New York. 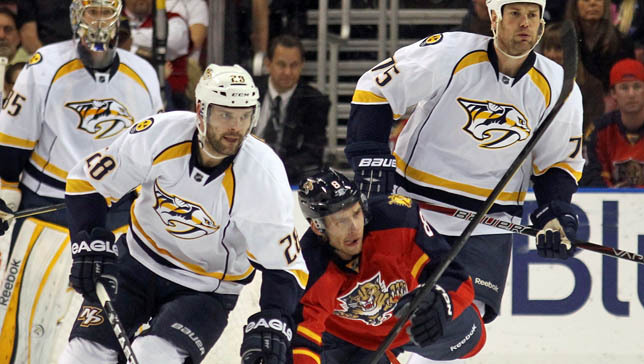 Even the white road jerseys of both these teams are some of the best in the league, with a nice amount of colour of the shoulder yokes and stripings. 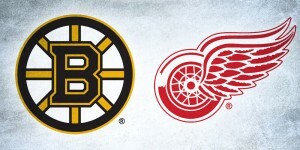 It’s another excellent series that will be an absolute pleasure to watch no matter what team you’re cheering for or what the score is. 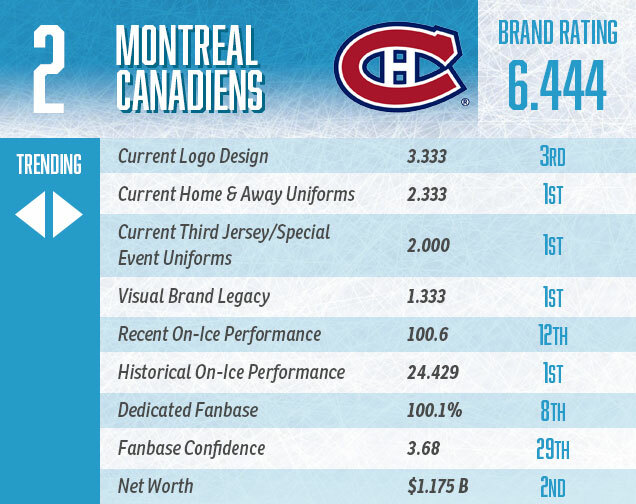 Montreal Canadiens NHL Brand Power Ranking: 2nd. The top spot features two jerseys that both have elements of traditional jersey design mixed with contemporary jersey design with a thread of gold, white and navy running through it all to make them compliment each other almost flawlessly. 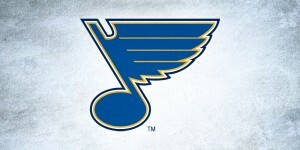 The games in St Louis still feature enough gold on both jerseys to make things interesting, working almost like neon striping on both jerseys. 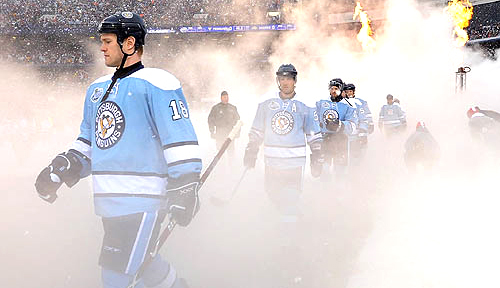 The games in Nashville feature enough blue to do the same. All the games will be great to watch, aesthetically-speaking. Still not sold on those gold helmets though.